Need a substitute from pancakes and egg breakfast? 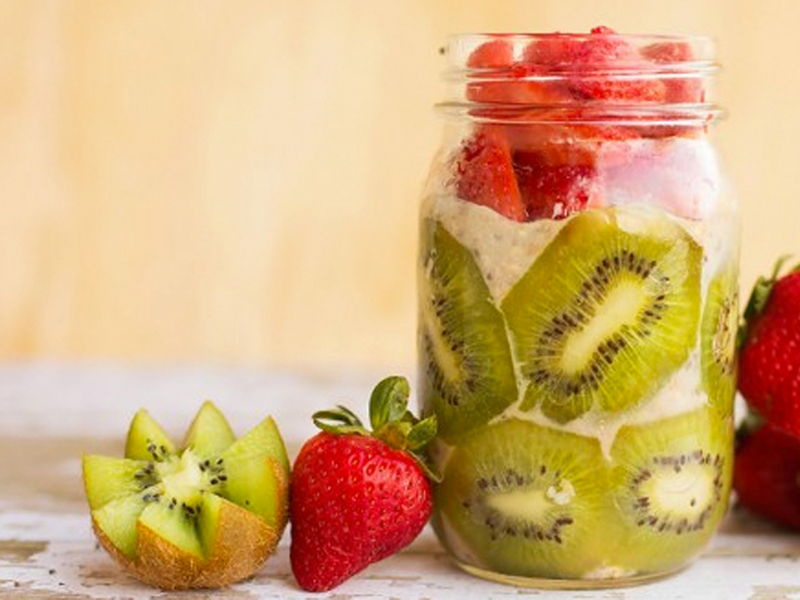 I love this nutritional overnight oatmeal jar. It’s quick and easy, especially when you need to make it out the door in a hurry…especially when you don’t want the kids to be late for school and still want to ensure they have a good breakfast. Try out these EZ oats. Mix all the ingredients together, saving the fresh fruit for last. Mix well, then slowly fold in fresh fruit. Make sure to save some of that fruit for the topping. Place in jar and store overnight in the fridge. They’ll be ready and waiting for you first thing in the morning! You can also play around with the fruits. Pick your favourite ones. For example you can use blueberry yogurt and top with blueberries. Perfect start to the morning!